Today, we publicly announced that Intranet DASHBOARD has been re-branded as GreenOrbit. For over 20 years we have been helping customers build great intranets - and we continue to do so. Why mess with something that's loved by over a million people worldwide? If it ain't broke, don't fix it. Right? Unfortunately, that approach only gets you so far and we wanted to go further. Much further. We wanted to get out there and tackle the complexity of the modern digital workplace. We wanted to deliver a new intranet with everything built in. An intranet that would calm the chaos of disparate tools and fractured processes. An intranet that would get your people going and put your organization ahead of the pack. That's why we're so excited about launching GreenOrbit. We've taken all the best parts of Intranet DASHBOARD and re-imagined them for today's workplace. We've made features easy on the eye and even easier to use. We've streamlined tools and processes so that your people can be up and running...and creating...and collaborating in no time. We've updated our software, that's for sure. But we've also renewed our focus. We don't want to be everything to everyone. We want to zero in on what you need to be successful and on what your people need to make the most of their work day. We know that clunky, bloated intranets slow everyone down. Not only are they counter-productive and costly, but they undermine even the best employee engagement efforts. We also know that complicated add-ons and integrations are really just black holes for time and money. We wanted to up-end these frustrations one by one. But it's hard to be revolutionary and forward-facing with a name like Intranet DASHBOARD. Sure a dashboard may have been exciting back in 2004, but these days it conjures up images of boring control panels not dynamic communication hubs. We needed a name that better reflected our new direction. With our partners at The Starr Conspiracy we tried out all sorts of names. Some made us laugh, some made us cry and, frankly, some made us scratch our heads in confusion. But GreenOrbit was the one that stuck. It's friendly and adventurous - daring to journey out among the stars (orbit) but also down-to-earth and practical (green). We love our new name, but it's not about us. It's about you. We hope it resonates with you and that 'GreenOrbit' becomes synonymous in your mind with 'get work going'. After refocusing our attention and choosing a name, it was time for a new look to bring it all together. The GreenOrbit logo emerged organically as we worked with The Starr Conspiracy - it started as a squiggle and slowly morphed into a living, breathing symbol of our explorer mentality and 'get going' ethos. Despite what they say, looks do matter - especially when it comes to inspiring confidence and communicating the right message. Our new color palette is bold and decisive and there's nothing diluted about it. Our illustrations show people working together or looking outward to a bright future - embraced by swirling orbits of neon green. All of this is the result of intentional design - a design that supports who we are and where we want to go. New direction, new name and new look. What's next? 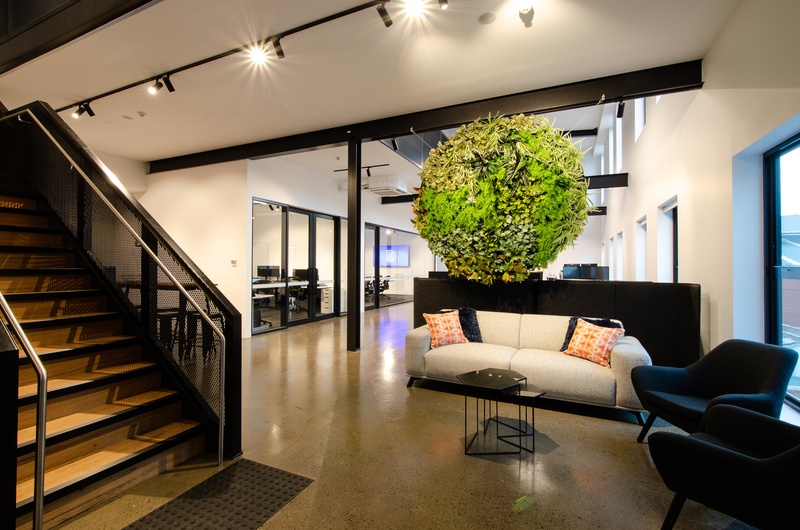 Last week, the Melbourne team said goodbye to their previous location of 14 years and made the move into sparkling new offices in Abbotsford. Now the physical setting matches our emotional state - fresh, innovative, and ready for the future of work. Meanwhile, it's all systems GO in the US as our team expands to fill bright new premises in Raleigh, NC. The GreenOrbit global footprint now extends across North America, Europe, Australia, India and Asia. The upshot of all this action? We can serve you better with more frequent touch points, localized on-the-spot support and greater access to qualified technical talent. Of course, we'll never forget our heritage. We'll always remain focused on delivering effective intranet solutions to the world's leading companies - but now we'll do it with renewed energy and vigor under the banner of GreenOrbit. 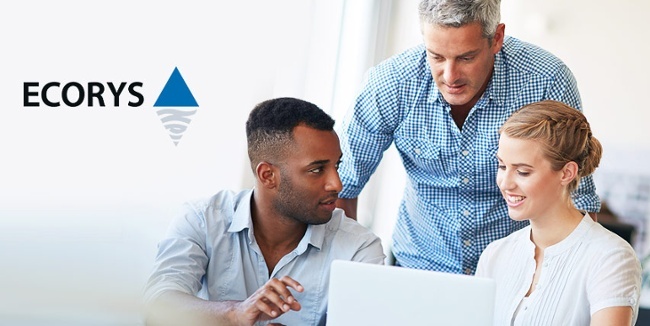 Documents, workflows, collaboration and productivity - we're committed to moving the digital workplace forward with everything enterprises need in one single comprehensive solution. It's all about respecting the past and moving boldly into the future. We can't wait to take you with us. Oh, the places we will GO! People are busier and more distracted than ever. We live in a world where attention spans are 9 seconds long and 'content fatigue' is the new normal. How do you entice time-poor employees to read (and act on) your carefully crafted intranet articles? Here are 5 over-looked fundamentals that can make all the difference. "If you're marketing to everyone, you're marketing to no one"
Well, the same is true for that intranet article you're trying to write. "Who am I writing this for?" If your answer is "the employees in my company" - then your canvas is too broad. You need to zero-in on the employee segment you want to engage. What are their particular needs, passions or pain points? For example, let's say you want to tell everyone about the new office that just opened in Japan. You could create an intranet article titled 'New Office Opens in Japan' and then go on to describe when it opened, where it is and include information about what the expansion means for the business. But, as an employee, why should I click to see beyond the headline? Sure, I'm happy we have a new office but unless I can see what impact it has on me or on others in my department - I'm not likely to be drawn in. To encourage engagement, look at how you can deliver the content in a more personal way - by targeting specific employee personas. By understanding what motivates and inspires the different types of people in your organization - you have a better chance of engaging them. Now, back to the Japanese office example. What keeps our Japanese customers awake at night? Think about ways to position your article to hit the sweet spot for a given persona. Check employee intranet profiles and make a list of job titles and interests. Interview staff from different departments, cultures and age groups. You'll learn what kind of content resonates - you can also create great articles from the interviews themselves. Conduct a staff survey asking people about their challenges, topics of interest and how they like to consume content. Now that you know who you're writing for - it's time to think about what you want your article to achieve. 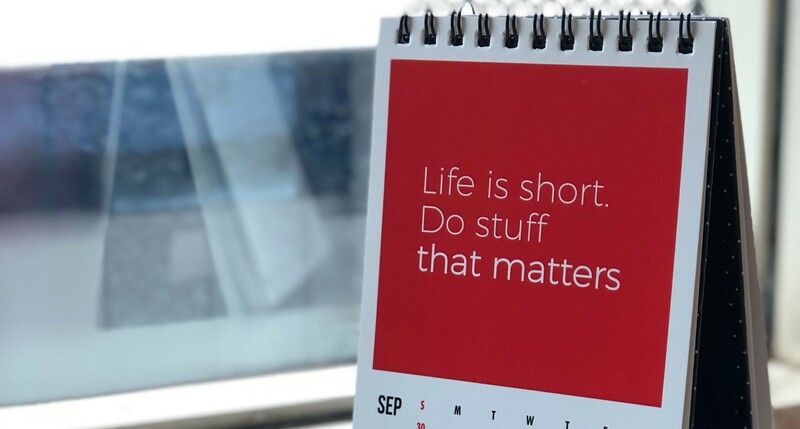 Does it align with your Internal Communications strategy? If you have one, that is. According to a recent report, 44% of organizations don't. Is your article addressing a business objective? It's easy to fall into the trap of writing content for content's sake - but you should use your publishing power to make a difference. Does your article move the needle on any of these objectives? Does it help employees to do their jobs more effectively? Does it make them feel connected to their peers or part of a vibrant culture? Purposeful content that is clearly aligned with your company's mission is more likely to engage employees (and win the approval of senior management). "I didn't get time to read that"
Lack of time is one of the major reasons your content goes unread. With so much competition for their attention, employees often put internal communications on the back-burner. Make headlines clear and specific so that readers know what they're getting into - this free headline analyzer can help. Have a point and get to it quickly - don't be that person who tells meandering, pointless stories that never seem to go anywhere. Avoid slabs of text and use plenty of white space. Break up the content with scannable headings, videos, images and pull-quotes. Drop the jargon and use every day conversational language. Take time to proofread (typos not only reflect badly on your credibility but they break the reader's flow). We've already looked at ways to personalize content based on employee personas but actually writing about people is another sure-fire way to improve engagement. Tell stories about individual employees and demonstrate their value to the business. This doesn't have to be 'heavy' content - you can ask employees to describe their morning routines, give their productivity tips or share favorite recipes. Also, write articles that bring customers into focus - this helps employees to see why their work matters and goes a long way to fostering employee engagement. Use faces in your imagery - and, where possible, choose real people over stock photos. Faces are so key to our survival, in fact, that we're born to be fascinated by them. So now you have a persona-driven, easily digested, people-focused article with a catchy headline and fascinating imagery. Well done! The next step is making sure people know about it. Take care to add the relevant keywords, meta-data and #hashtags so that your article can be pushed out to the appropriate channels or found via search. When you share the article on your intranet's social network, be sure to @mention individuals who might find it particularly useful. Although you want to avoid broadcast email - you might consider sending out a round-up of the month's best articles. What engagement strategies have worked for you? We'd love to hear about your successes in the comments below. At GreenOrbit we are experiencing unprecedented growth. Recently we've opened three new offices across the USA, Australia and India, marking a significant leap in our company’s growth strategy. Our business now operates from nine locations throughout North America, Europe, Asia and Australia and services clients across six continents. Considering we conduct almost all of our personal transactions via digital devices, it seems peculiar to come to work and deal with so much paper. However, every day we meet with businesses that are facing this exact challenge. Not only are paper processes expensive for our patience, but for our pockets and productivity too. 45% of the paper printed in offices ends up trashed by the end of the day. In the US, companies spend more than $120 billion a year on printed forms, most of which outdate themselves within three months’ time. More than 70% of today’s businesses would fail within three weeks if they suffered a catastrophic loss of paper-based records due to fire or flood. For the wellbeing of your business (and the environment), it’s time to say goodbye to paper. Fortunately, your intranet could offer an effective alternative to paper-based forms and processes. A strong intranet solution should make it easy to set up forms and workflow in minutes without the help of IT staff. This is one of the easiest and fastest processes to digitize, and a great first step to digital transformation. Traditionally, this process would require printing, signing and sending paper for both the employee and employer. Using Online Forms, staff can swiftly submit leave requests in seconds. Set up the form to go to the relevant manager/s for approval and once accepted or declined, the submitter will be automatically notified. As much as we try to avoid them, sometimes incidents happen. Things break, things go missing and unfortunately sometimes people get injured. By lodging an incident report with an Online Form via your company intranet, you can quickly capture important information and instantly push it to the relevant contacts. Not only will this ensure quick, accurate reports- you’ll always have a record of submissions to ensure compliance and peace of mind. 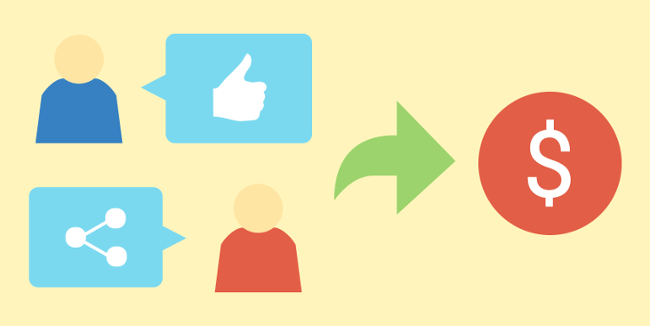 A strong onboarding process is key to engaging new employees from the get go. In fact, O.C. Tanner research shows that 69% of employees are more likely to stay with the company for at least 3 years after a great onboarding experience. We worked with iconic retailer Lowes to digitally transform a plethora of business processes, including onboarding. Prior to GreenOrbit, new staff were supplied with a physical, overflowing folder of paper work that they had to read and learn. This made it difficult to track compliance and to identify employees’ comprehension and understanding. Their new intranet has enabled a complete digitization of the onboarding process, replacing the bulky ‘onboarding folder’ with an online training module and questionnaire using Online Forms, Workflow and Notifications. Now, head office can track who has or hasn’t completed training, plus monitor staff understanding of the material. In the long run, this will empower new staff to provide a higher level of operational and customer service. Meaningful education within an organization is key to engaging and empowering people to do their best work. While face-to-face learning will always have its place, it isn’t always easy (or affordable) to coordinate. Online training offers a great alternative, allowing staff to complete training when and where it’s most convenient. Whether you work in an office, a hospital or a factory- you need supplies to do your job. Create an online form to allow staff to request materials quickly, so they have more time for the stuff that matters. Set up a monthly reminder to departments to submit supply orders so they’re never caught out without the tools they need. By moving these five processes online, you’ll be well on your way to reducing your paper consumption, gaining productivity and some serious intranet ROI. 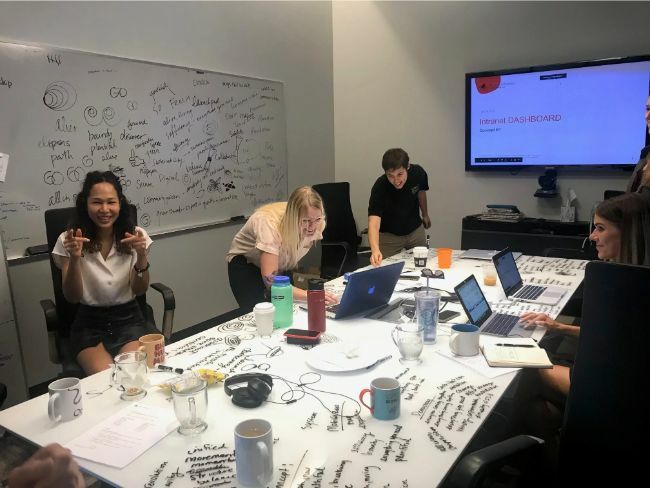 Financial services organization Vic Super estimate they’ve cut paper use by 30% companywide and saved their HR team more than 10 hours a week- that’s 520 hours a year that can now be focused on more strategic objectives. Book a demo with one our intranet specialists today to see how you can automate processes and get your organization where it needs to go. For those of us in the northern hemisphere, spring has officially sprung. The leaves are returning to the trees and the sun is staying up longer. At work, the craziness of Q1 has been and gone, and now it’s time to make sure you’re on track for a successful year ahead. And where better place to start than your intranet? It’s the perfect time to review and reflect on how your company intranet is performing, and how you can make small changes to improve it. An intranet spring-clean doesn’t need to be a huge undertaking- even just a few simple changes could be transformational for your business. First things first, you’ll need to establish what is and isn’t working within your site. Consulting both qualitative and quantitative data will provide you with a strong basis to implement people-centric changes. So, it’s time to put your detective hat on and find out what your staff really think about their intranet. Survey - Create a survey to gauge what your employees love and the stuff that needs some work. Ask a range of open and closed questions regarding the site structure, the content, the effectiveness of tools and the outcomes they facilitate. Do they actually enjoy using the intranet? Is it making their life easier? #Channel- GreenOrbit #Channels are activity feeds based on the topics of conversation that matter to your business. Create an #IntranetFeedback channel so that staff can post their experiences and ideas, when and where they arise. This is a super simple way to receive feedback from employees that can be incredibly effective. When it’s time to spring-clean, you can simply visit the #Channel and review the contributions that are already there. Intranet Analytics - Validate your employee feedback with some cold hard facts. Which pages are being viewed the most and least? What does the overall site traffic tell you? Now that you’ve done your research, it’s time to put it to good use. Revise your intranet strategy and KPIs and adjust accordingly. Establish priority tasks and how they will be completed. Once you know ‘what’, move on to the ‘who.’ Who will be responsible for which tasks? Who will need to manage the new content moving forward? This phase will include removing the redundant intranet content. If you have an existing policy regarding the deletion of digital assets then you’ll obviously need to follow this. If not, archive the old content initially to ensure no information is lost before there is an approved plan in place. A large body of the work will come from improving existing items and simple changes- which is great. But don’t forget to be bold. Come up with one exciting, innovative idea that’s going to give your intranet the X-factor and engage users. It might be the introduction of a monthly CEO Podcast, an employee recognition initiative or a mindfulness campaign. Get creative! With your spring-clean complete, you’ll need to figure out how you’re going to keep things tidy. If you don’t already have a maintenance plan in place, schedule how often you’ll need to conduct reviews, analyse stats and meet with your team. By having your #IntranetFeedback channel in place, staff can always contribute their ideas to help continue to improve your site. By following these simple spring-cleaning tips, your employee intranet will be flourishing in no time. Don’t forget, GreenOrbit customers receive a free intranet health check each year and there’s no better time to use it than now! Not using GreenOrbit yet? No worries. You can make a time to speak with one our GreenOrbit Intranet Specialists to discover the benefits for yourself. 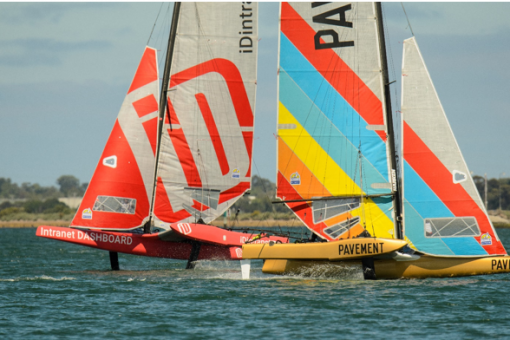 You might have seen us posting about the SuperFoiler Grand Prix in recent weeks and wondered what this has to do with GreenOrbit (formerly Intranet DASHBOARD); you know being an intranet provider and all. Well no, we haven’t moved into the world of sailing software, but yes we are thrilled to have provided the SuperFoiler team with a GreenOrbit intranet and developed the Official SuperFoiler App. Phew! To say this concept was a huge undertaking would be a serious understatement. What started as a dinner table conversation nearly three years ago has evolved into one of the most exciting developments in sailing history. Getting from there to here has been a whole lot of hard work for this team of directors, boat builders, sailors, engineers and marketing professionals, and we’re happy to have helped along the way.The SuperFoiler team have used GreenOrbit to communicate amongst their dispersed workforce and bring their dream to life. Using tools such as #Channels, Process Automation, Online Forms and Document Library, SuperFoiler have created a digital workplace that helps them get the job done, from the office or the water. 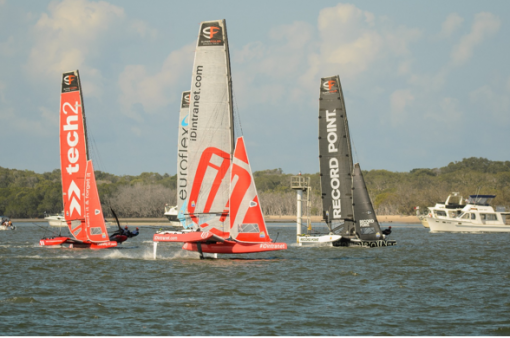 For the full story, you can download the SuperFoiler Case Study here. 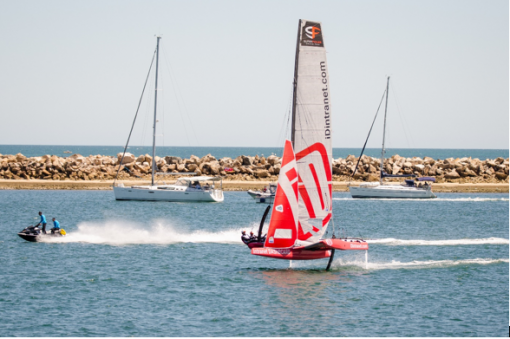 While we were busy behind the scenes, the world’s best sailors Paul Campbell-James, Ed Powys and Fang Warren were out there sailing our very own GreenOrbit SuperFoiler. We couldn’t be prouder of the boys’ efforts and the way they represented our brand from day one. 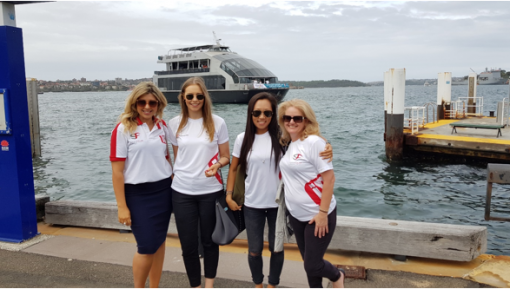 So many of our Australian employees also got involved and gave up their nights and weekends to support the team- because that’s just the kind of people they are. After five regattas and an unlucky string of boat troubles, team GreenOrbit fought hard and finished in fifth place. While we didn’t walk away with the Ben Lexcen Trophy, the crew became affectionately known as ‘the people’s team’ and provided some absolutely heart-racing viewing. GreenOrbit kicked off the series with a splash, taking out 2nd place. Skipper CJ was the first sailor to get thrown overboard- putting our team in the spotlight. Geelong provided a tough trot for GreenOrbit, with the boat experiencing damage prior to Friday's racing. Unfortunately, the crew had to sit out several races while repairs were made. After team Euroflex had dominated the first two regattas, GreenOrbit became the first team to top them! Unfortunately, a collision left us with some boat damage which again required repairs. 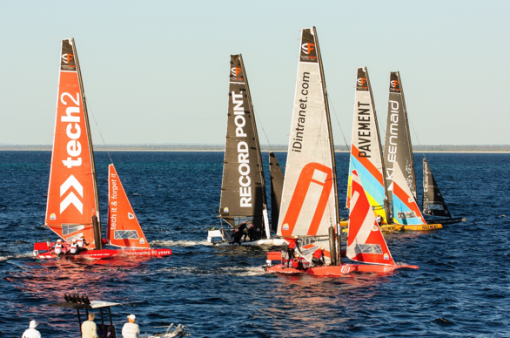 Challenging conditions in Busselton made for some close racing, with GreenOrbit winning race 5 and closing the weekend in 5th place. Sydney Harbour, one of the world's most iconic locations, hosted the series grand final. Crazy conditions resulted in lots of thrills and spills, with GreenOrbit finishing in 5th place. Congratulations to series winners Euroflex and thank you to all involved for your incredible efforts. We are proud to have partnered with this talented team, and that their GreenOrbit intranet was so integral to achieving their goals. One of the greatest challenges facing today’s workforce is the rapid rate of change in technologies. It is this rate of change which is expected to impact business productivity for those companies that do not adapt and embrace them. 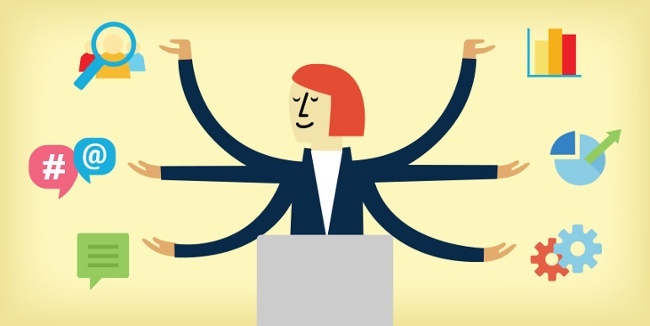 You might be thinking ‘Wait, isn’t technology meant to make us more productive? Well, yes. However, according to Deloitte’s 2017 Global Human Capital Trends Report, there is a gap in business potential as organizations try to keep up with the pace of change in technology. Essentially, technology is changing faster than businesses and their people can adapt. The report also states that 88% of respondents view ‘developing their organization for the future’ as ‘important’ or ‘very important’ to them. While this graph may look like there is tough road ahead for businesses to catch up, there is the opportunity for business leaders to bridge this gap. Devising strategies to organize, manage, align and develop their people at work ensure that business remains agile in the process. Currently you may be using your company intranet in a basic fashion with an internal network for communications, social information and housing static forms for employees to access. You may find that engagement levels are not where you’d like them to be, but recognize that delivering the right content on your intranet is a great place to start seeing improvements in engagement. There is a direct correlation between engagement and productivity equating to the profitability of an organization. For an intranet to close the gap between productivity and technology there must be a process of agile change. This includes delivering a modern intranet that is organized for learning with access to training and knowledge experts. This empowers employees and teams to collaborate and communicate fostering innovation, and an online space your staff can go and access information to deliver better customer service. Your intranet should champion your business: Who you are, what you do, and why you do it. In the bigger scheme of things - the core values of your organization, your mission - should be directly aligned on your intranet. For all parts of your organization to be clear, they are working towards the same goals and values. Your intranet should communicate these values and then deliver a place for your employees to do their job – connecting people to the tools they need. When thinking of the intranet as a lever to use in achieving the goals of the business, it is important to work with all the critical business units to create alignment and look at the unique needs of each area. You must understand how technology may or may not facilitate the strategic objectives of the business. From here it’s important to work with the resources you have (human and software) to build a roadmap which is adaptable to change and focused on the long and short term objectives. This will require working with IT on a regular basis to ensure that the technology strategy in your organization fits within both HR and business goals. It is also important to understand how your employees work on a day-to-day basis and how the intranet solution can be leveraged to support them. A business has much to gain through an intranet leveraged to their objectives. Facilitating the move from a transactional space to enabling transformation across the business. The automation of HR and business processes is a good first step. Looking at the processes in the organization: What can be automated? If it can’t be fully automated, can it be improved, or removed entirely? GreenOrbit's online forms functionality supports the automation of these tasks to make it easier for Operations and HR professionals to transition from the task of being administrators to becoming strategic partners in leading the transformation of their business. If the information above has you thinking about how you can leverage your intranet to better align with your business goals, you may be wondering how to start making this change. One of the best tools for doing this is by creating a business case. This is where you can describe the current state of play and the inefficiencies that you have identified these may be items such as: Time spent finding information, understanding the correct process, locating the right expertise people. Once these have been identified you can address how the intranet is going to help you: Through centralizing information, automating process and the expected outcomes in a tangible and measurable way: Reducing admin time, increasing productivity, freeing up resources that can be reinvested elsewhere. Fortunately, these days, with the access to information that we all have literally at our finger tips, creating the business case is as easier as it's ever been. With this business case and your business objectives in hand you’ll be on you way to start the journey to a more productive and agile intranet – delivering increased engagement and productivity. Document Management is a key focus for every business, no matter the size, industry or location. We all have files (perhaps too many) and we want to be able to access, edit, and share them efficiently. Storing documents across several environments, or without a clear governance, makes it tricky to track down what you’re looking for. As reported by PricewaterhouseCoopers, the time and effort required to find a single lost document can cost a business a staggering $122. It’s time to sort out your document management, because, can you afford not to? Benson Radiology faced this same problem. As a leading healthcare provider, they have a wealth of technical and patient documentation that they rely on to provide exceptional services. Their documents within MS SharePoint had become challenging to find, which was particularly troublesome for clerical and modality employees. These staff are often frontline to patients and under time pressure to find the correct documentation, immediately. With GreenOrbit, Benson Radiology have established a central repository for policies and procedures. By applying custom metadata to files, the team can add detailed information to a document to categorize it for super-fast retrieval. In the past, knowledge sharing wasn’t so hard. Think of having your team all in one office, all working from 9-5. But this isn’t the reality for businesses today. Workers are remote and on their devices, teams are dispersed and subsequently, time zones are mismatched. For many, having everyone in the one place at the one time just isn’t a reality. In this environment, how can you share and find knowledge effectively? How can you leverage the expertise of Janet; the French speaking, excel whiz, HR manager? Or Doug; the analytical, mathematical, finance guy? Once upon a time, you might have tried via email. And if you tried, you’ll know it does not work the way it did before information overloaded our inboxes. International research, consultancy and management services company; Ecorys, faced this same issue. Having consulted to The World Bank and Asian Development Bank (amongst many others), this team are seriously, well, knowledgeable. They knew there was so much they could learn from one another, but there was no easy way. GreenOrbit #Channels are communities of interest, based on the topics that are meaningful to you and your staff. They provide a centralized, engaging system for communication and knowledge sharing. As opposed to email, employees turn to this content for information that is categorized and allows for group collaboration. As evidenced by Ecorys, conversations via #Channels results in multiplied knowledge and real business outcomes. And that’s just the beginning. Read the full Ecorys Case Study to learn more about digital collaboration and how it delivers business-wins. Sales people spend their days on the front line, presenting your products to prospective customers and hearing what they have to say. They hear it all, the good, the bad and the ugly. What salespeople hear is what you want to know about – immediately! This feedback can make a huge difference to your business and the faster you can get this information the faster you and others in your business can act upon it. Imagine a sales person being able to post feedback via their mobile device and immediately share it with everyone in your business! #Channels are the exciting functionality in GreenOrbit that allows you to do this. Explore our perspectives on the intranet best practices, trends, and tips you need to get your organization going.